It has been seven years since Ndemic Creations originally released Plague Inc. As you can imagine Android fans have been eagerly awaiting the arrival of Rebel Inc, to the point that the developer received many requests for an Android version after the iOS release in December. 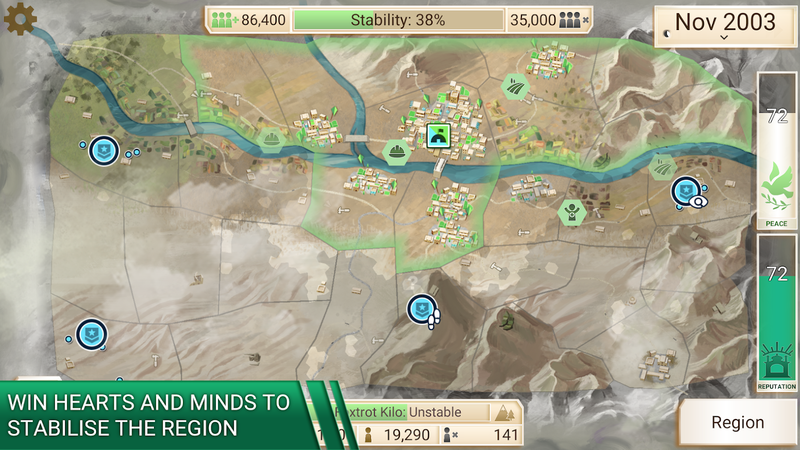 Now that it's officially here, fans can jump into this strategic military and political simulation to try their hand at stabilizing an in-game world through balancing military and civilian priorities. 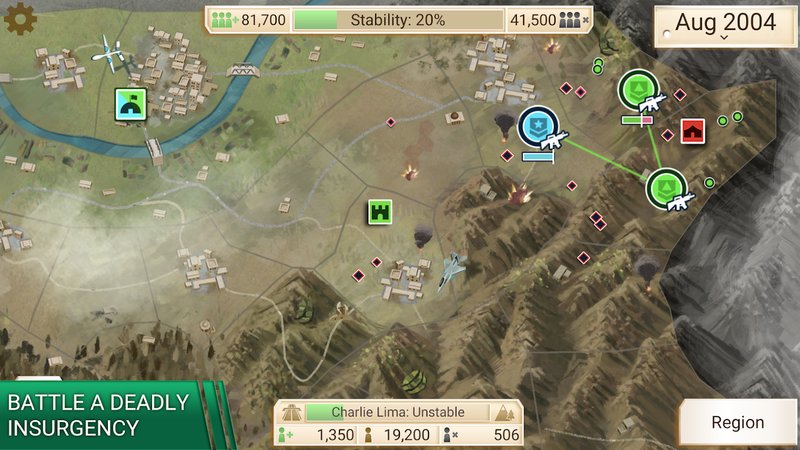 Rebel Inc. is a free-to-play title, which means you can install it for free, though you can expect to find a few in-app purchases that range up to $15.99 per item. The majority of these IAPs are used primarily for unlocking content early, but it's worth noting that one particular IAP priced at $2.49 unlocks the premium version of the game. This way you can try the gameplay before you decide to unlock the full title. But for a better idea of what you can expect, here's the full list of what you'll unlock. It's hard to believe that in the last seven years Plague Inc. has racked up over 50 million installs on Android. Mobile games have come a long way in this time, which is why I have to wonder if a spiritual successor like Rebel Inc. will be able to find similar success. Luckily this is a game that's launched with a fair pricing model that includes a premium unlock, so for those of us who appreciate such things, this is a day-one download. Still, I have to wonder how the casual crowd will accept Rebel Inc. since there are many more options on the Play Store than there were back in 2012. 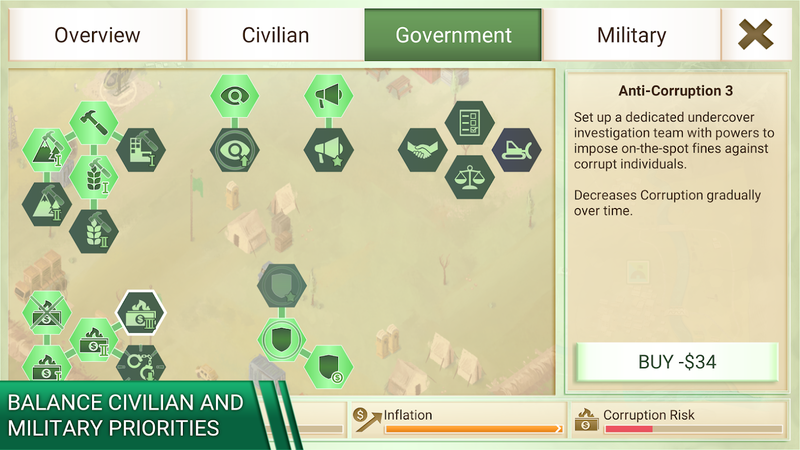 BRISTOL, UK (11 Feb, 2019) - Ndemic Creations is proud to announce that its new game, REBEL INC., a unique and deeply engaging political/military simulation for mobile devices, is out now on Android via the Google Play Store. 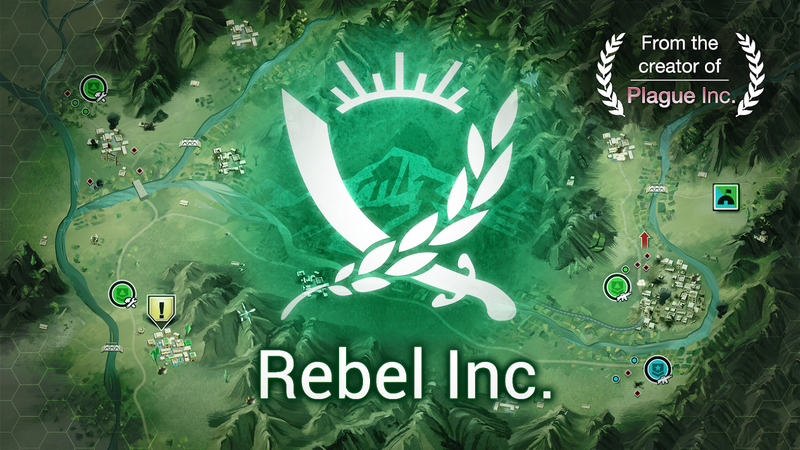 Since it’s initial release in December 2018 REBEL INC. has shot up the charts, joining its predecessor Plague Inc. in the top five globally and hitting the number one spot in 23 countries, including the USA, Japan and China. In REBEL INC., the war is ‘over’ - but we all know that doesn’t mean anything. To stabilise the country, you need to balance military and civilian priorities to win the hearts and minds of the people, whilst also stopping insurgents from seizing power! 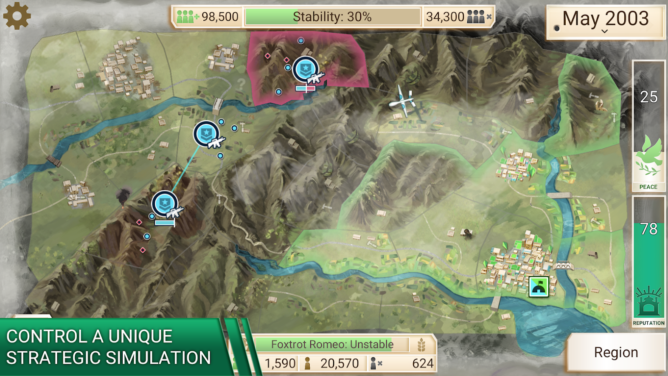 Carefully executed with beautiful graphics and critically acclaimed gameplay - REBEL INC. offers a deeply engaging, strategic challenge inspired by the complexities and consequences of modern counter insurgency. Although a fictional game, REBEL INC. looks at important real world issues and we’ve made every effort to deal with them sensitively. The game has been extensively researched and developed in cooperation with leading regional politicians, business people, and journalists, as well as international charities, experts and governments. Ndemic Creations is a leading, independent game studio dedicated to making intelligent, sophisticated and ultra-high quality strategy games. It has achieved extreme success with its first game Plague Inc. – a global hit which is one of the most significant mobile success stories ever with over 120 million players and it continues to top charts worldwide today. Ndemic Creations is self-funded and based in Bristol, UK. It was founded in 2012 by James Vaughan (initially as a hobby! ).